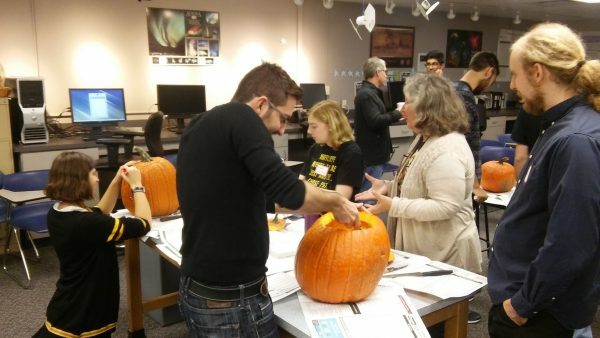 Every year CWRU Astronomy holds a Halloween pumpkin carving event for faculty, staff, and students. This year added an extra treat — a campus-wide power outage in the middle of the carving! There’s nothing like a pack of CWRU Astro students running circles around their professors in the dark while holding sharp knives…. Check out pictures of the event on our CWRU Astronomy facebook page! CWRU Astro Pumpkin Carving 2016!